After graduating from MU in June 1988, I attended graduate school at SUNY Albany. I received my MS in Atmospheric Science, with an emphasis on atmospheric electricity, in May 1992. Meanwhile, I had started working at NASA Goddard writing software for the GEMPAK system. After 8 months at NASA, I moved to the National Weather Service to continue working on GEMPAK and adapting it for operational use by the forecasters. I worked on creating NMAP2 and writing code for data decoders and displays of different data types, including imagery. In 2003, I became the software architect for the NAWIPS/GEMPAK software package. I spent over 10 years as the architect for GEMPAK and began the transition of GEMPAK functionality to the AWIPS system. Most recently, I have been leading a team of systems analysts who work on operationalizing various NOAA applications. The applications run in a virtual environment and are monitored 24x7 by the team. 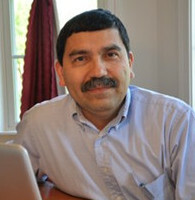 Millersville University alumnus (Meteorology 1984), Jose D. Fuentes, is the recipient of the 2015 Charles E. Anderson Award granted by the American Meteorological Society “for his outstanding contributions to the promotion of diversity in the atmospheric and environmental sciences through education, research and community service.” Fuentes is a Professor in the Department of Meteorology at the Pennsylvania State University. 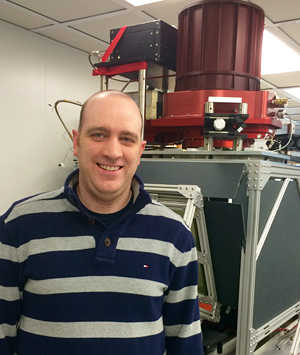 He received his doctoral degree in micrometeorology from the University of Guelph, Guelph, Ontario, Canada in 1992. Throughout his professional career, besides being a stellar researcher who has published more than 100 peer-reviewed publications, and a stellar educator who has received state-wide awards for his teaching effectiveness, Fuentes has made unparalleled contributions to the promotion of diversity in the atmospheric and environmental sciences. His research portfolio is broad but principally includes the understanding of the processes controlling the emissions, atmospheric transport, and chemistry of reactive gases produced by the biosphere. He is leading research projects to investigate the kinetics of the scents that flowers release to attract insect pollinators. The generated information is included in numerical models to determine whether ambient levels of air pollution perniciously impact pollination of crops. I received my undergraduate degree in Meteorology from Millersville University in 2006. I spent the next year and a half working towards my Masters degree in Meteorology at Penn State University, where I analyzed ozone sonde data working with Anne Thompson. In 2008, I began work at SSAI and NASA GSFC as a research scientist for the Cloud Physics Lidar (CPL) and Airborne Cloud-Aerosol Transport System (ACATS) Doppler wind lidar. I have spent the last six years working with Dr. Matt McGill on various science applications of these lidar systems, such as developing processing algorithms for ACATS and CPL, as well as collecting airborne lidar data at field campaigns. In 2014, I received my PhD in Atmospheric Science from the University of Maryland. Currently, I am the Science Lead for the Cloud-Aerosol Transport System (CATS) to be launch as a payload on the International Space Station (ISS) in December 2014. In this role, I am tasked with managing the algorithm development, quality of data products, and science outreach of the CATS instrument. In 1974, John Jensenius was awarded Millersville University’s first BA degree in Earth Science/Meteorology. He also received the Earth Science Award for Academic Excellence and the Faculty-Student Athletic Committee Award. After Millersville, John earned an MS degree in Meteorology from the Pennsylvania State University. John then began his professional career teaching meteorology and climatology at the State University of New York at Oneonta. From 1977 through 1994, John worked for the National Weather Service's (NWS) Techniques Development Laboratory (TDL) (now Meteorological Development Laboratory), first as a research meteorologist and later as Chief of the Computer System Section of the Synoptic-Scale Techniques Branch. 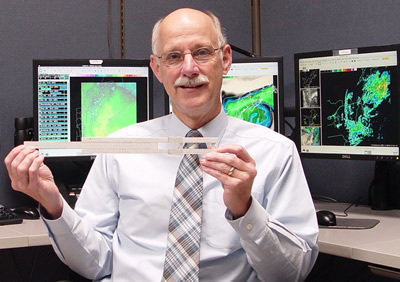 While at TDL, John was responsible for developing and disseminating statistical forecast products used by meteorologists nationwide and was awarded the Department of Commerce Bronze Medal Award for his work in statistical weather prediction. In addition to his normal job responsibilities at TDL, John was instrumental in initiating an effort to get forecast sounding data to field offices (which eventually led to the BUFKIT software). Since 1995, John has served as the Warning Coordination Meteorologist at the NWS office in Gray, Maine. In the mid 90s, he initiated efforts to include computer coding in segmented watch, warning and advisory products which now allows them to be more easily processed, disseminated, and displayed by various computer and display systems. Since 2001, in addition to his duties at the NWS office in Gray, John has been NOAA's specialist on lightning safety, and serves as a national spokesperson for the NWS on issues related to lightning and lightning safety. He has developed educational material on lightning, tracks and documents lightning fatalities nationwide, is frequently interviewed by national media, and has appeared on national shows and documentaries on lightning and lightning safety. For his work in lightning safety, John was honored with the 2005 National Weather Association's Public Education Award and has received the Department of Commerce Silver Medal.